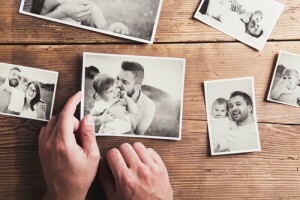 If you’re looking for a cloud based option to permanently archive AND share all your photos digitally, forever.com is a great choice. I personally use Forever.com for my own family, and have thoroughly researched this software. If you need help with organizing your photos and setting up an account, contact us for a photo organizing session and we can get you started! 1.) IT’S PERMANENT – Unlike other website like Google, Facebook, or Apple, its a Guaranteed Fund (similar to an endowment or insurance policy).